Carson Valley, Nevada rocks! Never heard of it? No worries—neither had I until recently. 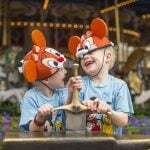 Tsk-tsk, what a shame that Vegas hogs most of the state’s spotlight. Carson Valley is composed of four authentic wild west towns which rest at the base of the Sierra Nevada Mountain range—Genoa, Gardnerville, Topaz Lake, and Minden. During my visit, I met incredibly friendly people and experienced a wide array of recreational activities unique to the valley’s gorgeous landscape! Considering how much I travel, my admiration of this rustic corner of Northern Nevada speaks volumes about a place you may have not known existed. At only 40 minutes from South Lake Tahoe, to live in Northern California and not visit Carson Valley, Nevada, is to dishonor your inner traveler! 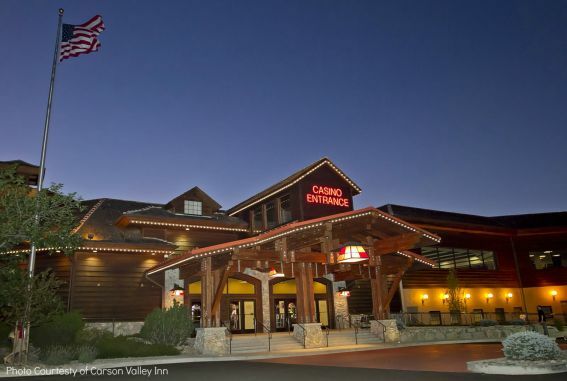 Carson Valley Inn in Minden, Nevada is both a hotel and a casino. 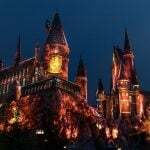 It’s easily accessible off the freeway and offers free parking and internet. 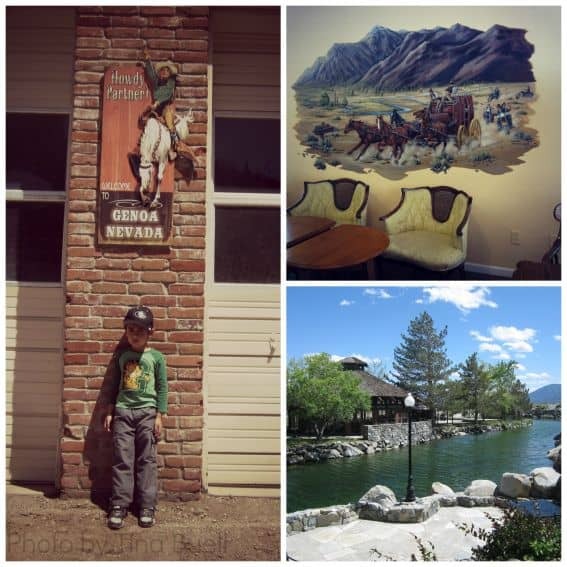 Carson Valley Inn is a good choice for families traveling with grandparents, as I was. While my son and I were out and about enjoying all the valley had to offer, grandma was happily planted in front of a slot machine—one of her favorite past times! Lodging highlights include an indoor pool with outdoor sunning deck and a scrumptious selection of cakes and confections at Katie’s Country Kitchen. The inn is conveniently located near Carson Valley Swim Center, a newly constructed aquatic facility with indoor and outdoor pools, diving boards, hot tubs, and a children’s pool with play structure and water slides! 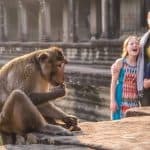 Have you ever booked a tour for the benefit of your child, not expecting much enjoyment for yourself, but then went on to have to a fantastic time? That’s what I experienced at Nevada Adventure Company! Yeeeehaw, I’m a dune buggy junkie! Woot Woot! 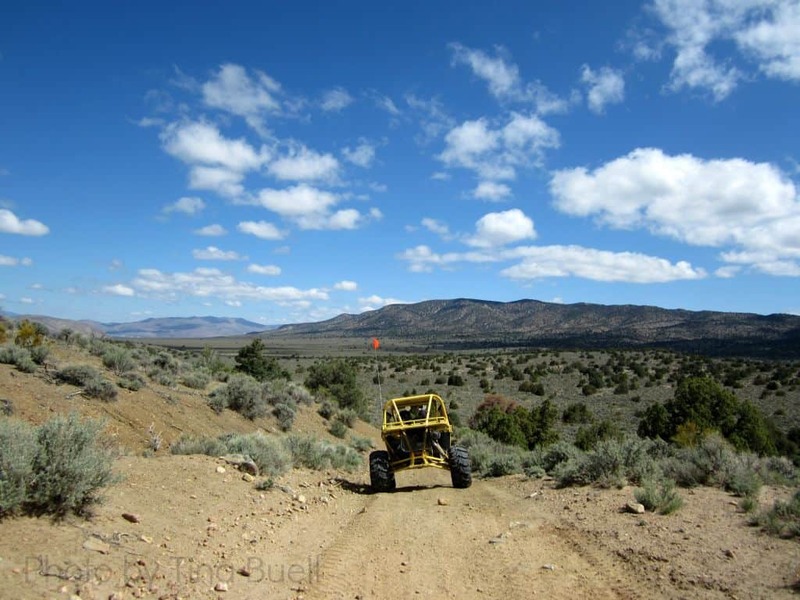 Nevada Adventure Company provides guided, off-road buggy tours for families and small groups interested in safely touring Carson’s Valley’s desert landscape. For two glorious hours I experienced the rush of high desert off-roading behind the wheel of my very own buggy, with my preschooler strapped in the seat next to me. On the return leg of our trip, my kid fell asleep! This is especially hilarious because off-road adventures aren’t exactly smooth rides! The tour guide informed me that kids under 5 years of age often fall asleep during snowmobile and buggy rides. What a hoot! What’s next, snooze on a Pogo stick? I’m kind of an adrenaline junkie, and I got a major fix in Minden, Nevada at SoaringNV; a business that provides family friendly glider rides. 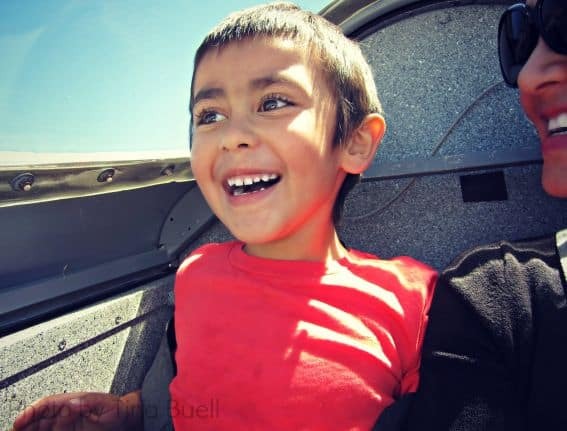 Not knowing in advance how my child would react to being locked in a tiny engineless plane soaring 2,000 ft. above the ground, I booked a 15-minute introductory flight called Taste of the Sky. We were treated to not only a bird’s-eye view of the valley below, but also heart pounding thrills when the pilot playfully steered our glider up and down in a roller coaster motion, each dip causing an eruption of giggles from both my son and I. Once we landed, the chuckles kept rolling when my child refused to exit the glider. He was chanting, “One more time! One more time!” Next time we’ll reserve a 45-minute flight over beautiful Lake Tahoe. 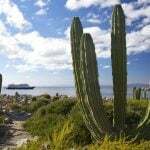 In Genoa, you’ll have the opportunity to walk around Nevada’s Oldest Settlement and visit the area’s two educational museums: The Mormon Station State Historic Park Museum, operated by the Nevada State Parks Dept., and the Genoa Courthouse Museum. For lunch, Genoa Station Bar & Grill stands across from Genoa Bar, Nevada’s oldest thirst parlor built in 1853. Nearby, 1862 David Walley’s Hot Springs Spa & Resort has been pampering the good folks of Nevada since 1862 and was a daily stop on stage routes. David Walley’s Resort offers a pool and several jacuzzis available for guests of the resort and their children. For adults in need of pampering, daily passes to access Wally’s spa, on-site hot springs mineral pools, and adults only outdoor swimming pool start at $30 per person, per day. The highlight of my trip was a one-hour guided trail ride around Sheridan Creek Equestrian Center’s 100-acre ranch. The crisp high alpine air and the majestic mountain landscape was an unforgettable introduction to the beauty of Carson Valley. 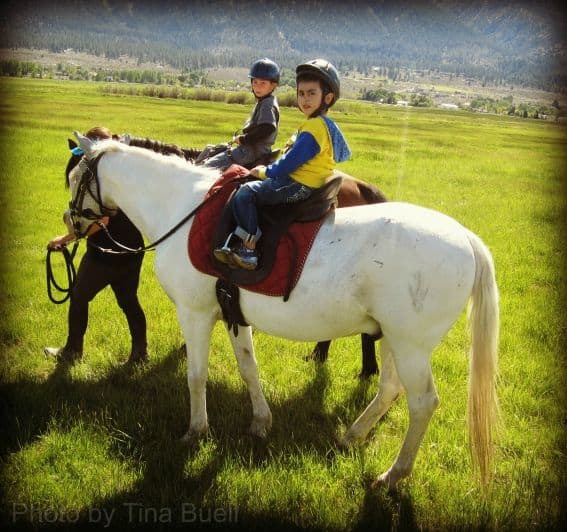 I rode unassisted on my horse, Gunner, while my 4-year-old enjoyed a guided horse ride led by a ranch employee. After our ride, I brushed the dust off my horse while my son chucked rocks in a nearby pond. Other family-friendly activities include Carson Valley’s new Visitors Center and the Museum & Cultural Center which document the area’s history in a building listed on the National Registry of Historic Places and downtown Gardnerville’s J.T. Basque Bar & Dining Room, a Carson Valley icon boasting over 100 years of history. For lakefront dining, try Topaz Lake Steakhouse. 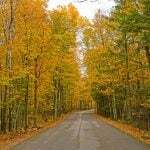 Topaz offers outstanding water sports, camping, and fishing. Disclosure: Special thanks to the Carson Valley Visitors Authority for hosting my family’s weekend stay in Carson Valley, Nevada. Their hospitality was great, but all opinions are my own. Wow! It looks like we need to head to Carson Valley soon! Thanks for uncover this hidden gem so close to the bay area!